Today, I’d like to share some of my favorite alternatives to MLM. I’ll be the first to admit that I LOVE network marketing. I think it’s a great opportunity for certain types of people. I also realize that network marketing is not for everyone. At the end of the day, we are all wired differently, with different talents and abilities, and different goals. In addition, I’ve also learned that not everyone is cut out to work for themselves and be an entrepreneur. I believe MOST people are NOT qualified to start a business. They simply don’t have the mental toughness, work ethic, or mindset to be an entrepreneur. And that is perfectly okay. We need great employees. However, if you are one of those people who has always dreamed of working for yourself, this post is for you. If entrepreneurship is for you, but you don’t have the desire to do network marketing, this post will help get your brain spinning. 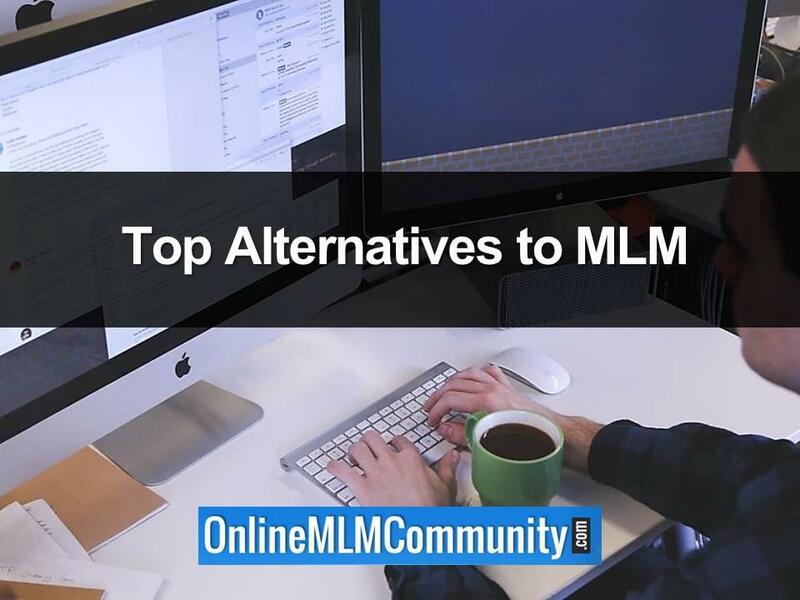 What you will see below are my top 13 Alternatives to MLM. They are listed in no particular order. Most of these business models I do myself, or have done in the past. For about 85 to 90 percent of the people reading this article, I believe getting a part-time job is your best option. You can find somewhere locally to work an additional ten to twenty hours per week and earn some extra spending cash. You could even find an online job. You could do something you enjoy, something easy, or something completely different from your day job. You choose. Best of all, you can work as much, or as little, as you desire. Plus, you get paid immediately and you don’t have any financial investment to get started. Many people confuse network marketing and direct sales. They are not the same thing. Network marketing is about building a team of independent distributors, having leverage, and earning overrides from your team, just like a real estate or insurance broker does. Direct selling, on the other hand, is when you sell a product directly to a consumer. Your focus in your personal sales. For example, I sell antiques at flea markets, local auctions and on Craigslist. I enjoy buying and selling so this works great for me. When it comes to direct selling, you could sell someone else’s products or services, or make your own. I have a friend who makes her own candles and sells them at local events. That is direct selling. If you love dealing with people and enjoy selling (which most people don’t) I highly suggest direct selling. Amazon has created a level playing field for anyone. Amazon FBA, which stands for Fulfillment by Amazon, is a great program. Basically, you source your own inventory and mail it to Amazon. They scan it, inventory it and list it on their website. When it sells, they handle the orders, deal with customer service, ship the item to the end users and pay you the difference. The fees to do this are about 30 to 40 percent, depending on your price point, but it’s also very convenient and hands off. I have two close friends who do this on a large scale and they send stuff to Amazon by the tractor trailer load. You can start small and work your way up to whatever level you choose. I have been selling on eBay for almost 15-years now. It’s been very good to me. Anyone can do eBay. What I do is travel to local auctions, thrift stores, yard sales and flea markets to find deals. I buy books, jewelry, belt buckles, vintage clothing, tools, comics, postcards and whatever else I can buy and sell for a profit. You can create a free eBay account and get started by selling unwanted items you find in your house. From there, you can source your own inventory like I do, or you can find a drop shipper. eBay is very inexpensive to start and pretty easy to scale. It’s a great part-time or full-time business, and it’s one of my favorite alternatives to MLM. My friend Greg is a freelance writer. He writes for several different websites, including this one. Basically, he’s an independent contractor that people hire to write content for them. He charges them by the project. You could be a freelance writer, editor, video marketing specialist, consultant, photographer, or whatever area of expertise you might have. You could look for work on websites such as Upwork.com or Fiverr.com. You could even start your own website where people could learn more about you and hire you. Working as a part-time insurance agent could be a great fit for certain people. You have the ability to earn immediate and residual income. While most people don’t enjoy selling, this could be a very lucrative part-time endeavor. If you built up a large customer base, you could build up a nice residual check, when people renew their policies each year. If this idea interests you, I suggest you check with your local insurance companies to learn the process of getting licensed and getting started. I LOVE information marketing. This is when you create information products about your area of expertise and sell them. This could include books, videos, courses, eBooks, special reports, DVDs, audio programs and whatever other format you see fit. I took my military experience and created a blog and published about 20 different courses that I sell. These courses are designed to mentor and teach Army officers. That is my niche. What you should do is evaluate your own areas of expertise and find a niche you could carve out for yourself. Many network marketers have transitioned to top tier affiliate programs. These are affiliate programs that pay you $500, $1000 or more per sale. Basically, you only need to make five or ten sales per month to make a great income, unlike network marketing where you need a team of hundreds, even thousands of people, to make a great income. I’ve been promoting this one company with great success. They pay up to $526 per sale and they do all the follow up and closing for you. If you know how to advertise and generate leads, you have the world at your fingertips. Most business owners would pay you a small premium to help them find more customers. You could utilize your SEO, email marketing or social media skills to help them generate more leads, more customers and more sales for their business. You could charge them a set fee, or cost per lead. You could find three or four clients each month and potentially create a full-time income. I live here in Florida with my wife, Rachel. We don’t have a dog, but most of our neighbors do. I don’t know where you live, but the people here in Florida are crazy about their dogs. They dress them up, spoil them rotten and treat them better than their own kids. If you live in a dog friendly community you could start a dog sitting or dog walking business. I guarantee your service would be in high demand. Affiliate marketing can be very lucrative, once you know what you are doing. Assuming you know how to advertise online, and generate leads, and send traffic to a website, you could potentially make a great income promoting different affiliate products. Affiliate products are products that someone else creates, but they pay you a percentage of the sale (normally 20 to 50 percent) to help them sell the product. Blogging is a great LONG-TERM strategy to make money from home. I’ve been at it almost 7-years full-time now, and it’s just starting to really take on a life of its own. Of all the business models listed here, I think blogging has the most potential, but it is also the hardest and takes the longest time to see results. If blogging interests you, you need to pick a niche you are knowledgeable about and focus on creating a ton of valuable content as quickly as you can. Many small business owners are swamped and are looking for help. As a result, they hire virtual assistants to outsource some of their work. These virtual assistants handle the mundane tasks while the small business owner can focus on money producing activities and growing their business. Some tasks might include responding to emails and blog comments, updating social media accounts, handling customer service issues, updating blog content, etc. If you enjoy this type of work, working as a virtual assistant might be a great option for you. Mail order is a great way to make some extra income. If you’d like to learn more about what I do, check out this page on my site. You can request a free INFO kit. These are the top 13 alternatives to MLM that first come to my mind. What’s important to remember is that very few business models offer you the opportunity to earn a residual income or IMMEDIATE income. With most businesses, you really just own a job where you have to keep working to keep getting paid. In other words, you have no leverage. Your income is linear income. You are stuck in the trading hours for time trap. In addition, there is no guarantee of success is any business. I’ve never found any type of legitimate business that was fast or easy money. Most businesses (of any kind) fail in the first few years and most businesses take a couple of years just to get profitable. Yes, there are some exceptions to this rule, but not many. If you are really hard up for money, my best suggestion is to get a part-time or full-time job. Trying to get immediate profits out of ANY new business venture is very hard to do. Yes, MLM has a high failure rate. Most businesses do. 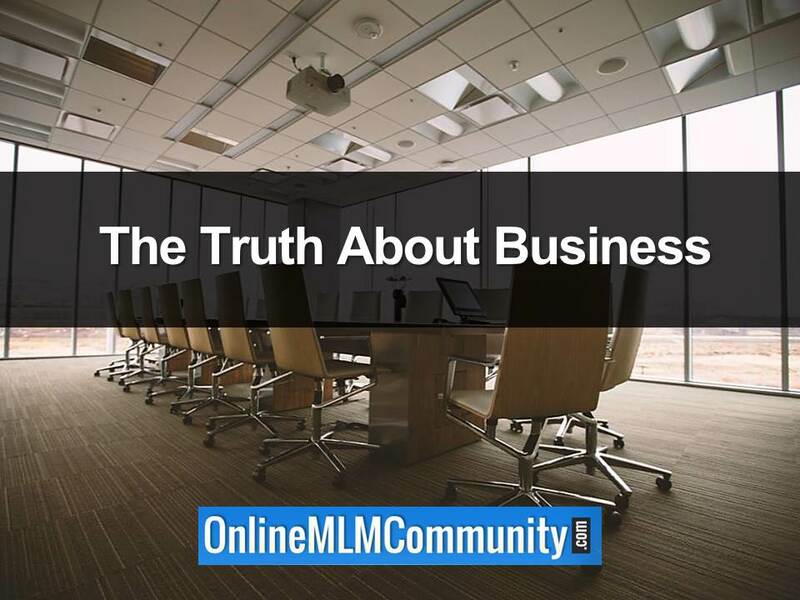 And yes, you can make a lot of money in MLM, but it normally takes a few years of consistent effort to build up a large income, just like any other business. It’s hard work! If you decide to go with one of these alternatives to MLM, it’s really important that you KEEP YOUR DAY JOB while you build your business part-time. You need a steady paycheck coming in while you get your business off the ground. This will keep the financial pressure off your back and help keep your spouse happy. Furthermore, I’ve discovered that all entrepreneurs must go through a learning curve and incubation period in their new business to develop the right skills and mindset it takes to succeed. Depending upon your current skill-set, your budget, and desire, this time-frame will vary significantly from person-to-person. In summary, there are many good alternatives to MLM. If you’re ready to leave the MLM Industry for good, you do have options. Your key to success is to pick a business model you understand and are passionate about. Pick something that matches your talents and abilities and offers a lot of potential. Once you do that, you MUST make a two to five-year commitment (minimum) to stick with your chosen business model, before you throw in the towel and quit. You can also improve your success rate by finding a mentor, being consistent and persistent, and by having a laser-like focus. What are your thoughts? What are the best alternatives to MLM that you can think of? Leave a comment below and let us know what you think. I look forward to hearing from you. I sell a lot coins too, Greg. You are really only limited to your creativity. In today’s day and age there are many ways to make money, whether it be something I mentioned above or something entirely different. What most people need to realize is that any time you start something new you will go through a learning curve, normally at least 1-2 years. I’ve never found anything that was fast, free or easy. It seems like that’s what most people are looking for. Just my two cents. As a person who has done a lot of searching for good money making opportunities, I must say you put together a pretty good list here. It is true, MLMs are not for everyone. You must find what works for you. What are your talents? Personally, I am a writer. I learned how to self publish my own books. I found that in itself, this also takes marketing. Books do not always just sell themselves. I have also found other avenues to use to make money online. Affiliate marketing, blogging, ghostwriting, and freelancing are all some of what I do. I found a talent and I am trying to make the most of it. That is the key… use your talents to your advantage. Search and find how you can take your talent to the next level. You know inside what is right for you. If you give 110% to succeeding at what you do, you will. Never stop trying to better yourself and good things will follow. Use your talents to your advantage. That is some great advice. Thanks for the comment. Just one thing on blogging: Most of the highly popular blogs I follow were never really “marketed.” Their authors have been surprised how their blog has exploded in popularity. They wrote with their hearts, were personable, and had “share” buttons (i.e., Facebook, Twitter, etc)…. If you have those elements, but still aren’t getting much traffic, by all means try advertising. Blogging is good, but I believe you should advertise to get your name out there. Of course, worth of mouth is ideal, but sometimes it takes a while to get that going. I like MLM, but these are some other great business models too. At the end of the day you simply need to find a business model you are comfortable with and can see yourself doing for a period of time. I like selling on eBay and blogging, but I also realize there are other great opportunities too. No business model is easy, but certain people will do better in certain business models. Just my two cents. Very true, Kelli. Find a business model that you are passionate about and understand and get started with that. A good online resource to learn more about doing digital stuff online and making money with it is: http://www.bmyers.com. I’m not an affiliate for this site; but he not only talks about how to make money using images, videos, information products and community sites, but he shows you how and the forums are really great. Recently, I just learned that there are people taking pictures with their phone cameras and are making money uploading the pictures for others to use. Just about anything digital can be sold online. Good points and good resource, Sandy. Thanks for the comment. Yes, digital items do sell, as a matter of fact, if you know what you are doing, you can sell anything. I used to be a huge wheeler and dealer in coins, and I suddenly found that there are many mistakes that come straight from the mint. I started buying fresh “mint” rolls of coins and 1 day I discovered a new nickel that had “No More Oil War” stamped on the front of it–It came straight from the mint that way. Keep in mind that I only paid 5 cents for it and I sold it on Ebay for $78. I also know of one gentleman from Germany who sold a “genuine wood fire log” for somewhere around $400. It was all in the advertising and presentation.